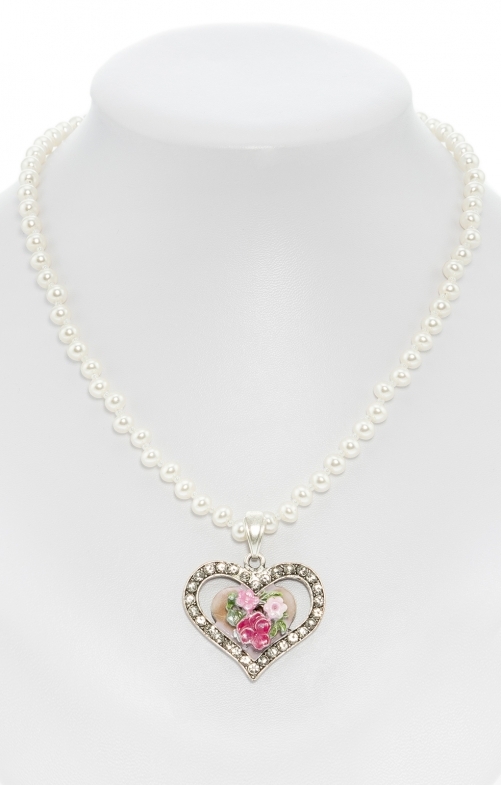 Classic pearl necklace by Schuhmacher with pink painted heart pendant. This ladies' accessory is ideal for festive and traditional occasions. The traditional necklace made of pearls is adorned by a large heart pendant. A silver frame with sparkling trim contains a smaller, pink-painted heart with flowers. The necklace is adjustable in length and nickel free.